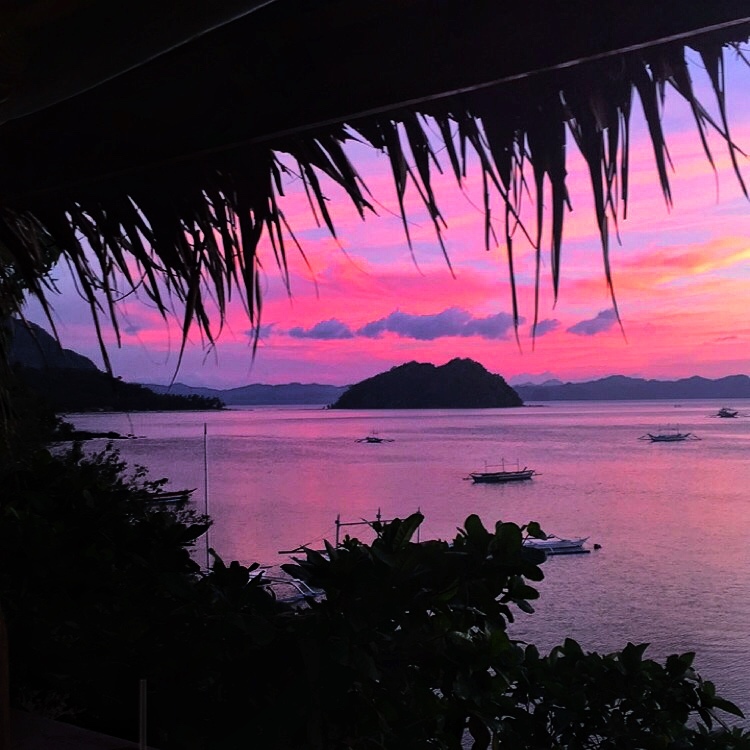 There is something enticing about the idea of an island getaway. Though there are thousands of island destinations to choose from all over the world, there is one island that expert travelers do not want to share with you. Why? Because it is way too amazing to share! Sound intriguing? Well, lucky for you, I'm terrible at keeping secrets, and I'm about to spill the beans. 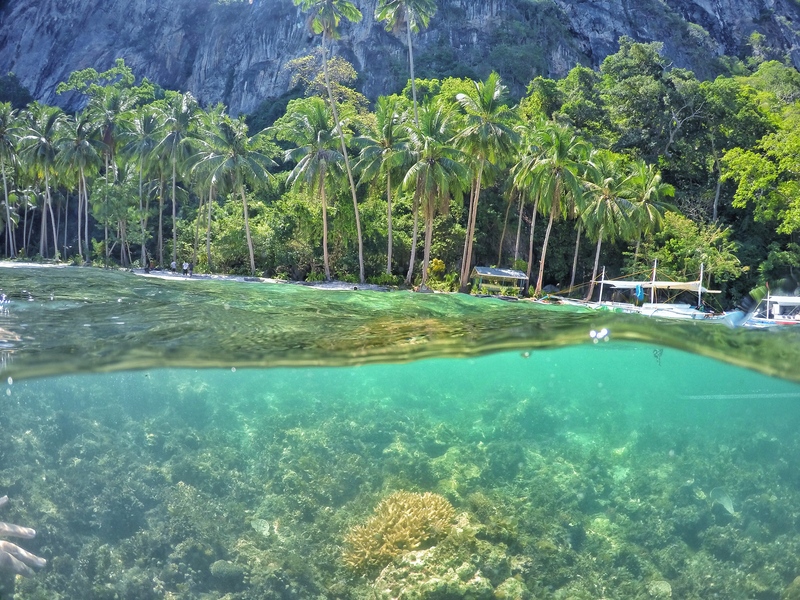 As one of the over 7,000 islands that make up the Philippines, the island of Palawan is home to one special, unspoiled tiny town called El Nido. El Nido manages to be the most unattractive, and yet most beautiful, place all at once. 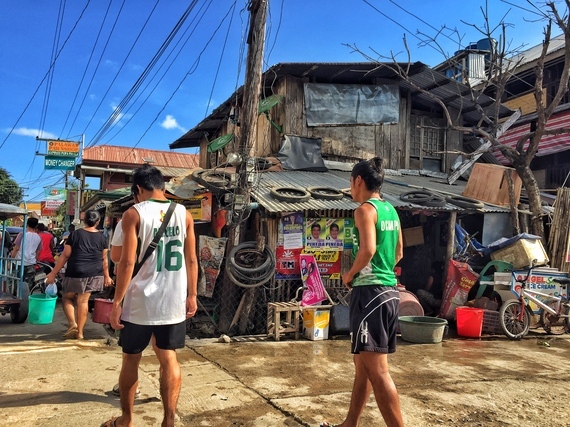 It is a destination that can be both coarse and glamorous in the same moment thanks to its natural beauty and lack of amenities (such as fail-proof electricity). The lack of some creature comforts makes a great deal of tourists steer clear, but leaves the island free for real travelers and adventurers, like me, who seek this authenticity. 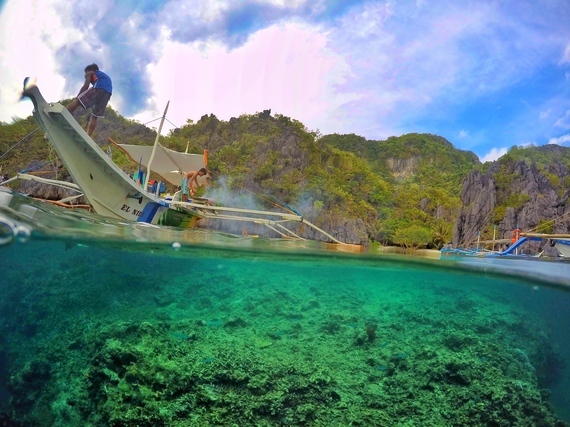 Still, the journey to El Nido is far from easy. After traveling for nearly 24 hours, (two delayed flights and an 8 hour bus ride) I was dropped off where it was pitch dark, seemingly in the middle of nowhere. With almost no one around at 3am, I thought to myself "What the hell did I get myself into this time?" I also frantically wondered if there was a miscommunication with my bus driver and if he dropped me in some other neighboring town. 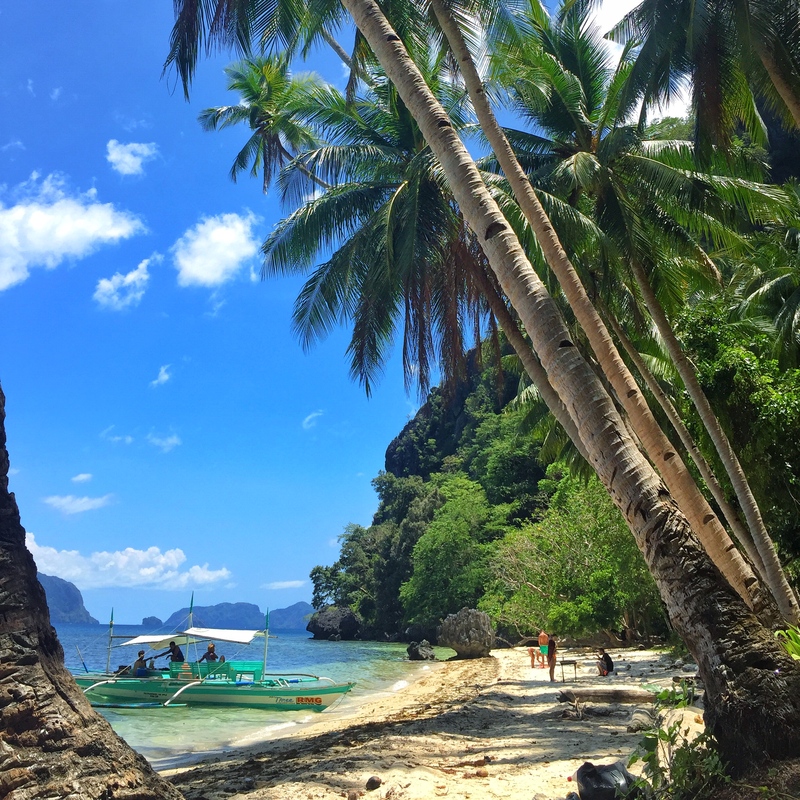 No one wants to tell you about El Nido because adventurous travelers love El Nido just the way it is, flaws and all, and don't want it to become overrun by tourists like you. El Nido is a traveler's heaven, currently lacking the obnoxious and change-demanding tourists that destroy beautiful destinations. 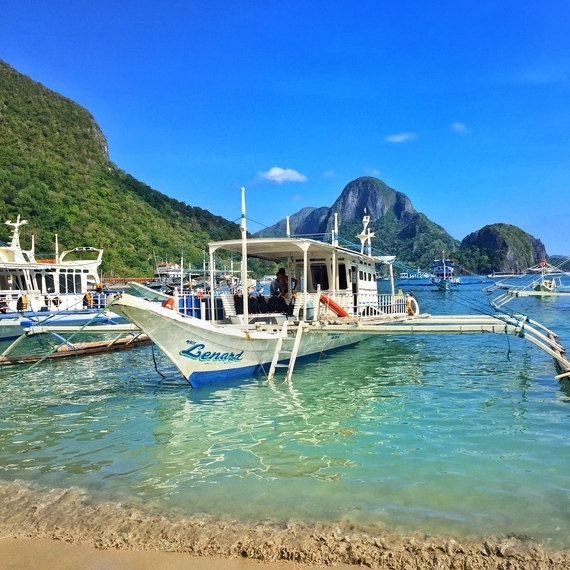 Unfortunately, over the next decade, El Nido certainly has the potential to become the next Phuket or Cancun where travelers flock by the thousands to get tan and drink for cheap. That's a scary thought for real travelers who seek destinations with unique character and quirks. If you love the all-inclusive resort Atlantis type resorts that I personally find to be a living hell, then El Nido is not the place for you. 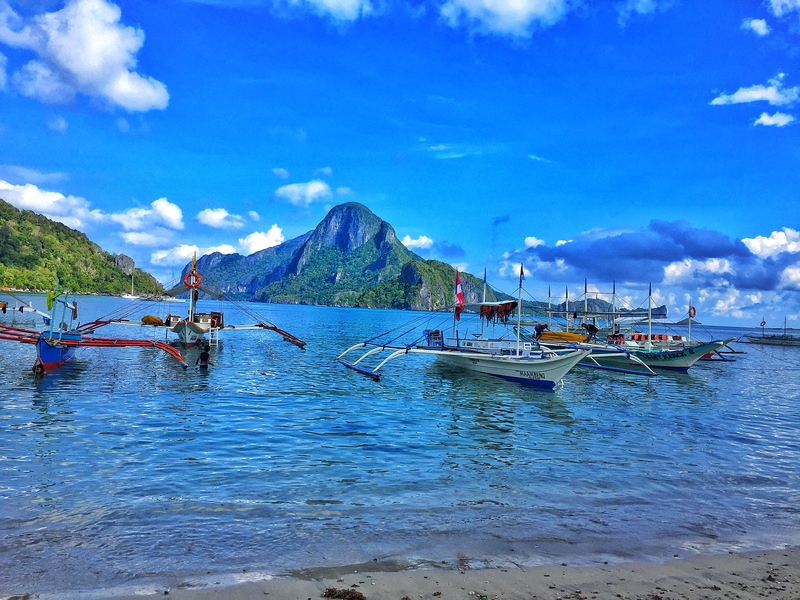 El Nido is difficult. It is difficult to get to and difficult to exist in if you aren't low maintenance. Roads are made of dirt and there aren't a whole heck of a lot of ways to get around. The access to wi-fi is awful, there is basically no ATM, transportation is unreliable, and power outages (including your air conditioning when it's over 100 degrees) happen multiple times a day. For me this is part of the charm and part of the fun. When the wi-fi is touch & go, or there is a blackout, it forces you to disconnect and enjoy the people around you. 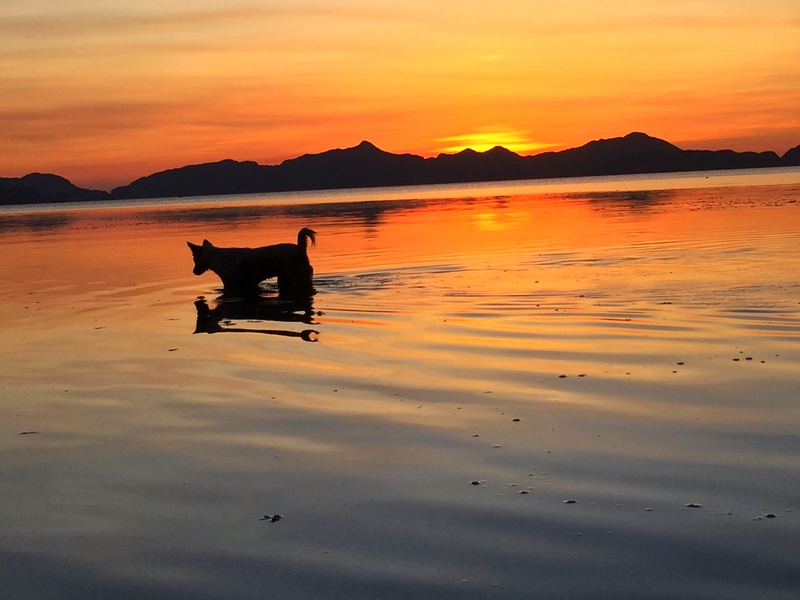 The sunsets are remarkable, but they are much more beautiful when you enjoy them with new friends from all over the world while sharing stories of the incredible creatures you all saw on your dives. When you share your bar food with someone who is running out of money because they decided to stay longer and there is no money in the one and only ATM in town, that adds to the adventure. 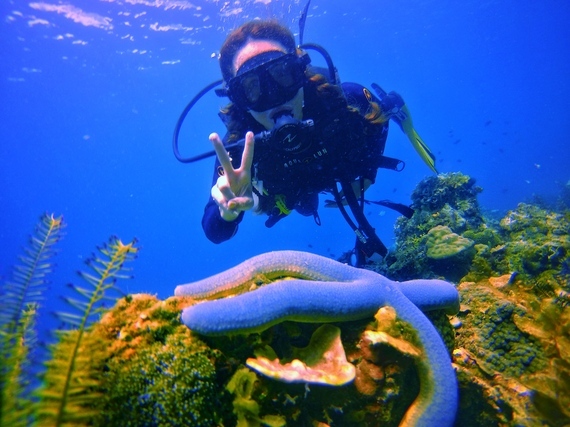 These are the experiences that make a destination memorable and enjoyable, not how many whiskey buckets you drank at your all-inclusive resort, or how many times you ordered room service. 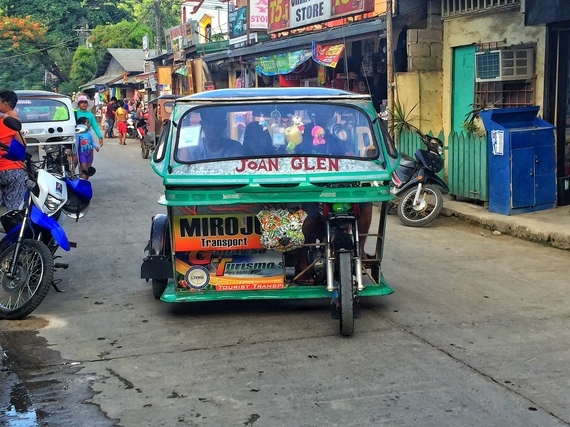 On my final morning, I packed up my suitcase, said goodbye to my new friends and staff at my little hotel, and hopped in my shuttle back to Puerto Princesa. Over the next 5 hours as we zoomed past motorbikes overfilled with passengers, ox drawn carts, trikes carrying giant pigs, and kids playing in the streets, I couldn't help but have a heartache for how much I would miss the simplicity of the lifestyle and warmth of the people in Palawan. If you decide to visit El Nido, my suggestion is run, don't walk. Thanks to the beauty of the islands, it's only a matter of time until this special place is overrun with every tourist on the planet. Getting there: From Puerto Princesa, take a shuttle instead of the bus--it's faster and more reliable, as the bus does not run on time and stops for anyone standing on the street. It is not direct. 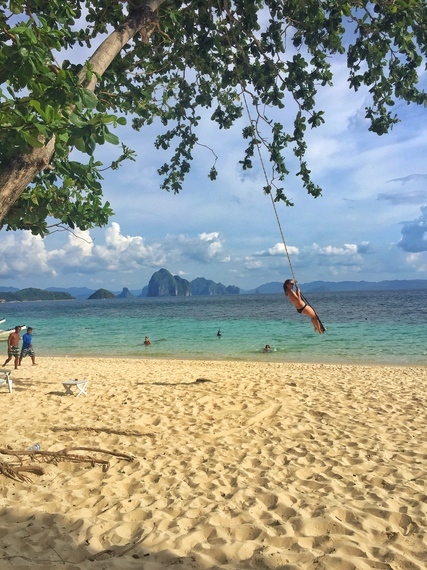 From Manila, book early and spend a little more money to skip the long bus ride to instead fly in and out of El Nido.